This modest wine and grappa production arose from my desire to keep the family tradition alive. With my Sauvignon Blanc Marie chérie and my Grappa Sauvignon Blanc Marie chérie, this dream has now come true. Grappa Sauvignon Blanc Marie chérie is made exclusively from the pomace of grapes from the business’ own vineyard, which are grown according to the organic method with Bioland/Abcert certification. To preserve my vineyard and cultivate the vines with respect for the environment, and to produce a high-quality wine and grappa. These are the objectives of the Marie chérie project. 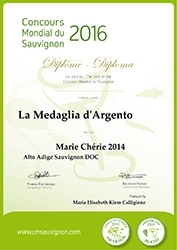 For this reason, I decided to share the philosophy of the project and its realisation with those who support me in its fundamental concerns – in agricultural management and wine production: Christian Pinggera and Martin Aurich. 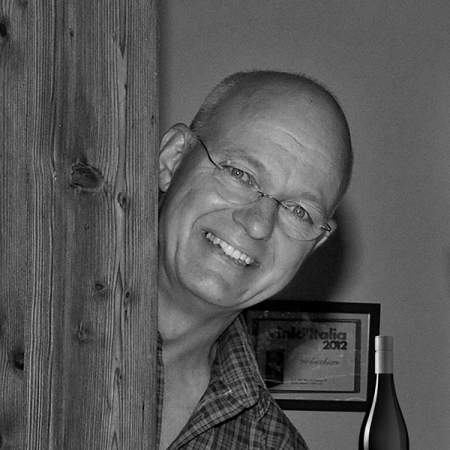 Martin Aurich has been by my side as a wine-grower from the very beginning and has helped me to produce my Sauvignon Blanc and grappa. 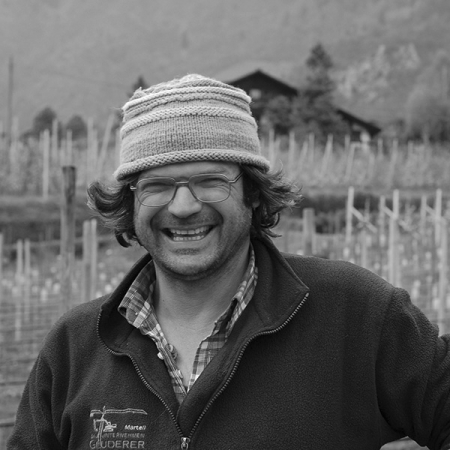 His uncomplicated manner and very specific approach to wine-growing, combined with the devotion and care with which he has run the small but special “Unterortl” business at Juval Castle for many years, convinced me to ask him to work with me. 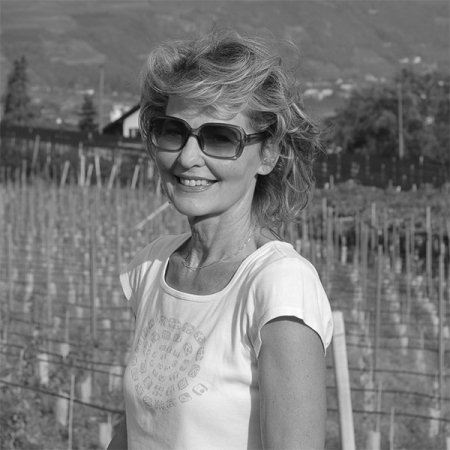 My name is Maria Elisabeth Kiem Calligione, and this modest production of Sauvignon Blanc and grappa stems from the wish to continue my family’s tradition. In my childhood memories, our vineyard always held a deep significance for me: the grape harvest, moments of happiness and family affection. Christian Pinggera has taken care of the vineyard since 1995. Based on his advice, all cultivation techniques, both on this property and the surrounding land, have followed the standards for organic farming and the corresponding European certification since 1998. This was a natural and instinctive decision for us, since it was in keeping with our understanding of life and with efforts to protect the environment.